I want to thank you for your generosity and kindness toward me in Istanbul. You and your wonderful colleagues did everything to make me and all of the speakers fell welcome. You organized an immensely successful conference and you have made a significant contribution to expanding the world-wide reach of cognitive therapy. Warm wishes to you for some much-needed rest and relaxation. 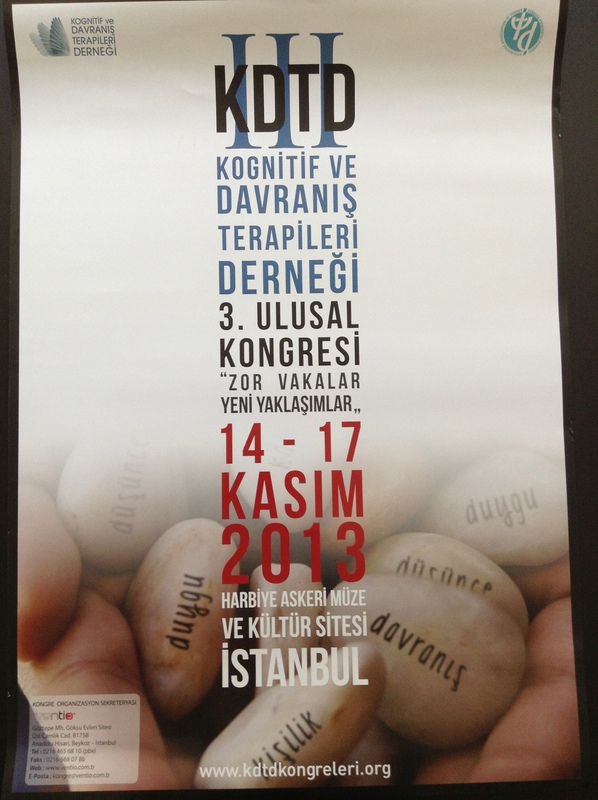 I just wanted to drop you a note and let you know that I thoroughly enjoyed being a guest at the Congress in Istanbul. It was clearly the best Congress I have ever attended – National or International and you certainly went overboard in making us feel like very special guests. A warm hug to you and Umit. I hope that you have taken some time to rest and recover after a well deserved success. I do hope to see you soon. Would like to send my personal thanks for your brilliant organisation of a lovely conference. I hope you felt very pleased with how it all went. Once again many thanks for inviting me for the beautiful plaque you gave me which was a real honour and a lovely keep-sake. The ICCP Congress, organised by Mehmet Sungur, is really fantastic, both for the scientific values of presenters -nluding myself 🙂 – and for the enchanting events (the cruise and dinner on the Bosphorus has ben magic! One importante value of this Congress is the large presence of yourg people coming from some Countries where Cognitive Therapy is still underdeveloped. It is also importatant the know that next edition will move to Asia and it will be held in Hong Kong! Thank you again so very very much for such a wonderful experience in Istanbul! I am reliving each day and remembering how warm and wonderful you have been and all of the fantastic experiences you provided for all of us. You thought of every detail and made this a congress to remember. You are an amazing man, one that is full of the love of life, the love of man and the love of love! Lata has asked me to contact you for the list of emails of the attendees. I know you are incredibly busy, and I hope you take a day to recover from the Congress before you respond to this email. My very warmest wishes my friend! CEO Center for Brief Therapy, P.C. 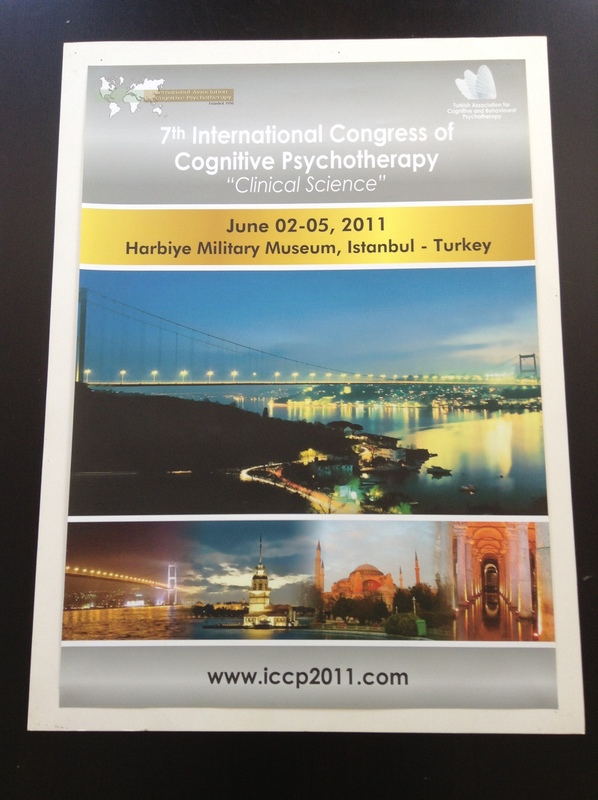 Just a brief note to thank you for your kind invitation to the 7th ICCP in Istanbul. To me, and many of the colleagues I have spoken to, the kindness, hard-work and dedication, and organisation that you personally brought into this congress made it one of the most stimulating and enjoyable scientific meetings I have ever been to. Your singing wasn’t too bad either!!! It was also a pleasure to get to know you and your lovely wife better over the past few days. After you have had a chance to rest (and I hope you will) and reward yourself for this achievement, let’s touch base and think about some of the options we briefly discussed about me coming over to İstanbul again for more intensive workshops on metacognitive therapy. Thanks again Mehmet. Thank you for organızıng yesterdays socıal gatherıng for the ACT members. I thınk ıt was greatly apprecıated by all as many members were able to meet others who they had prevıously not met ın person. And most ımportantly…thank you for organızıng what turned out to be a wonderful and fulfıllıng conference fılled wıth brıllıant mınds and stımulatıng conversatıons. Your country was wonderful and welcomıng to me…I hope I can return the same when you come next to the Unıted States! I wanted to thank you and your beautiful wife for making me feel so welcome during my stay and showing me your delightful city. It was a trip that I will never forget and which I feel quite sure will have a lasting impact on me in many deep and meaningful ways. You are a true leader. You inspire. You open up the art of possibilities. This world is a better place to have you on it. I hope that I can return the hospitality next time you are in England. Please keep in touch and send my very best wishes to your family. I can’t tell you how much I enjoyed my stay with you. Your hospitality and warm welcome is without comparison. I just came back home. You have set a new upper limit for the congress, both in terms of the scientific quality and the ecellence of the social progam. The last night was very special. You are a true friend. I hope we will have a chance to talk privately about some issues, especially about your painful loss. My heart goes out for you. Please know that I want to be there for you, and please know that you have a friend for life. Again, thank you very much for all you did. I will never forget it. I just wanted to take a minute to congratulate you for organizing a fabulous and successful congress! Although I’m sorry that we didn’t have much time to catch up (I do tend to plan too much sometimes), I was so pleased to see so many people enjoying the fruits of your hard work organizing the ICCP. I hope that you’re enjoying some rest and relaxation after such an intense event – you’ve earned it. Also, I hope that our paths will cross again somewhere, sometime very soon. Back home and looking back on a marvelous time in Istanbul, I would like to thank you very much, as well as compliment you for the beautiful and superb organisation of a fruitfull fantastic and nice congres. I was surprised by the quality of the participants in my workshop. Especially from some young Turkish psychiatrists. Congratulations on organizing the best conference I have ever attended in my 41 years in our profession! You did a spectacular job, my dear friend. Thank you so much for everything you did for all of us. I hope you have managed to get some rest over the weekend after two very tiring weeks. Certainly, I have been reflecting on the great success of the Congress in Istanbul 10 days ago. The vast credit for which lies at your feet. Of course, as an organiser you can always see that there are minor problems with any such event, but they are insignificant compared to the excellent scientific, professional and social success of the Congress. As you know, like yourself I’ve been to a lot of them, and I consider this to have been one of the best. 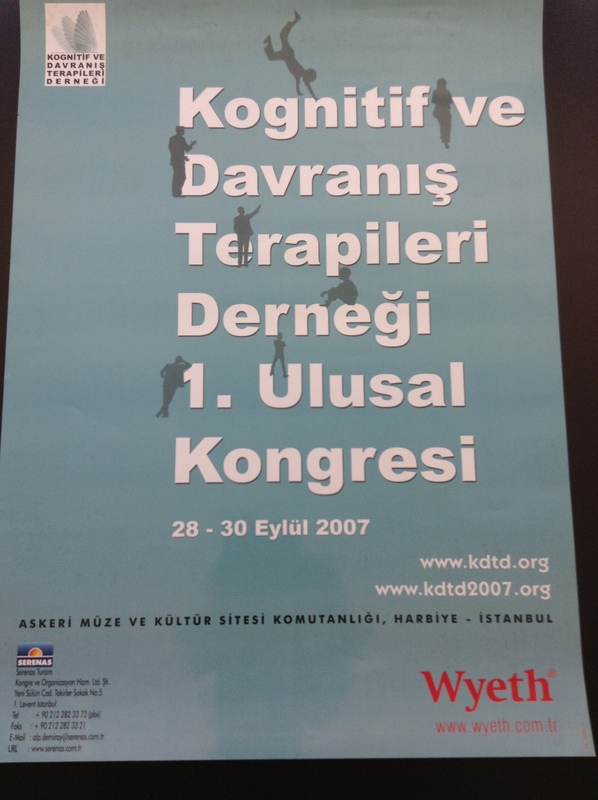 In particular, your tireless efforts to stimulate CBT within Turkey have clearly paid off, judging by the enthusiasm and knowledge of the young people at the Congress. 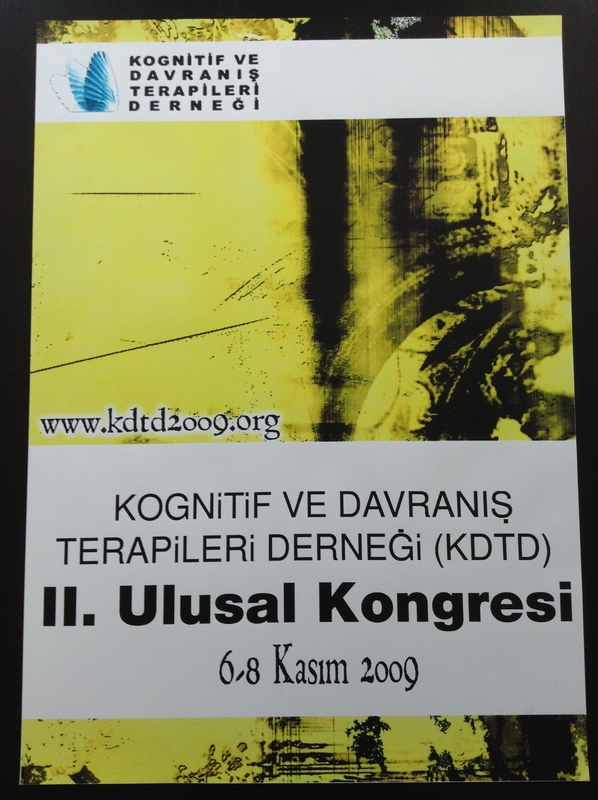 Indeed, the impact of the development of Turkish CBT could be felt in attracting and stimulating delegates from a wide range of countries within the region, as well as those from more established CBT nations. Well done. I’m pleased to have been involved in the organisation of the Congress, I look forward to catching up with you soon! 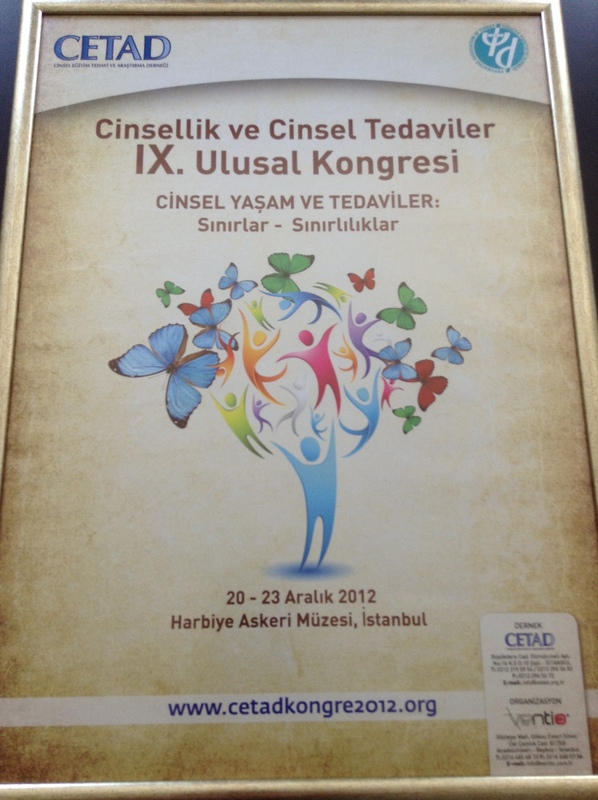 I want to thank you for the opportunity to take part in the ICCP Conference in Istanbul. I also want to commend you on all of the work that you did to make it such a great success. I learned a lot from all of the sessions I attended and learned so much just preparing my half day workshop. I had the good fortune of hearing your Keynote on Sufism which makes me now want to learn more! Can you recommend a good book on the subject? My undergraduate degree is in Philosophy and in particular Eastern Philosophy so your talk has really sparked an interest in Sufism. It was my first time to Turkeye. I was able to explore Istanbul thoroughly and wish I could have seen more of Turkeye. I found all of the staff at the conference to be very kind and helpful. The Turkish people were hospitable. I attended a symposium that was all in Turkish. I was the only English person in the room so a woman translated each paper that was given just for me. I felt honored and full of gratitude. Again, my sincere thanks. I tried to thank you in person after the commencement speech but there were many people surrounding you so I planned to meet you at the wine party afterward. Unfortunately I did not see you there. So, I am saying thank you now for a great conference! I hope we can meet at the next conference in Hong Kong! And, again, if you can recommend a book on Sufism it would be greatly appreciated. Have you recovered yet? What a fantastic amount of work you must have put in. And what a successful conference it was! I think it really helped to promote CBT. Once again, thank YOU for the opportunity to participate on this wonderful congress. It is what you did in assembling the pieces that made it so memorable. Our paths will cross again, and soon.